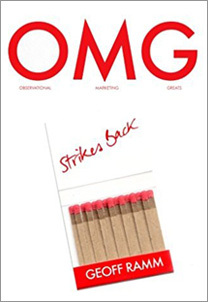 OMG Strikes Back By Geoff Ramm OMG: When You Come Across Something So Amazing That You Just Have To Tell The World! 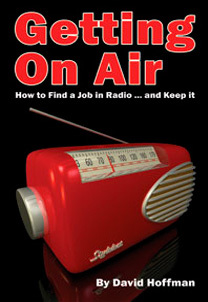 Following the success of his original OMG (Observational Marketing Greats) book, international marketing expert Geoff Ramm shares another collection of marketing stories designed to inspire small business owners to come up with their own creative ideas. Inside this little book of matches you will discover… how a chocolate covered email will draw people to your exhibition stand, why £10 will transform your marketing thinking, the sign all accountants should aspire to, why you should always send two Valentines cards, the world’s most cost effective flyer, how you are only 120 seconds away from your ultimate OMG moment, taking advantage of the future King, 50 shades, and offering to sell your kidney will create global exposure, why your next flight will never be the same again, and revealing the greatest email of all time… Oh and no marketing book would be complete without God, Dinosaurs, Ice Cream, an Olympic Flame and a tin of soup.